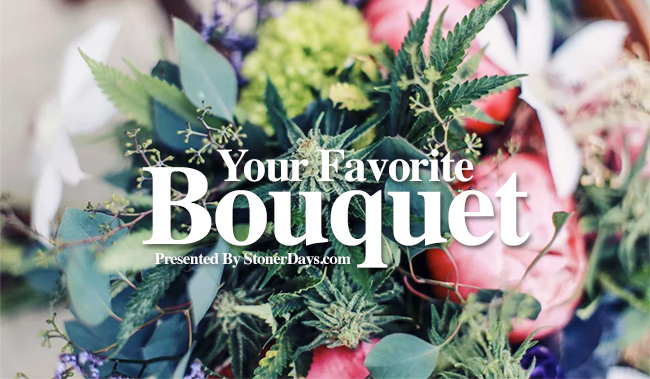 With all the hubbub (for good reason) that surrounds hash oil, mega concentrates, and even gourmet quality cannabis cuisine, our old favorite standby, flower, AKA bud, may get lost in the shuffle. Some of the world’s greatest natural beauty exists inside cannabis buds. 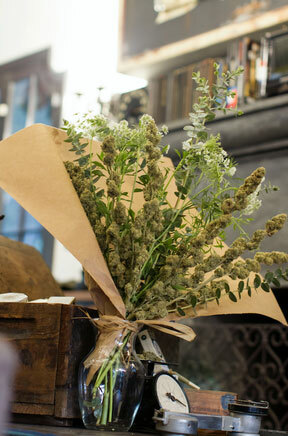 You don’t want to miss out on high quality medicinal flowers. So let’s review some of our favorite ways to enjoy this tried and true classic. Put down that blowtorch, pull out a Bic, and let’s get started. If you search “dabbing videos” on youtube you will see people torturing their lungs with heavy duty cannabis concentrates. Seems a bit wasteful doesn’t it? Moreover, when weed is concentrated into hash oil it loses an incredible amount of terpenes (aroma, taste) for the sake of potency. When you smoke flower you appreciate cannabis in its most sincere form, with accompanying scent and taste. Moreover, you avoid the increase in tolerance that comes with dabbing, and other more potent mediums. Pipes/Bowls: What makes them so popular for cannabis flowers? Bowls, pictured above, are popular because of their simplicity. They are cheap, easily made, and can even be created from scratch using a few household items. Moreover, many people enjoy how reliable and easy pipes are at achieving their purpose. You don’t need to conduct an extensive process, like baking an edible or preparing a dab, to use your cannabis. Even a weed novice can pack a bowl, when they can’t roll a joint or use a bong. Just be sure to keep bowl’s clean to ensure good airflow and quality taste. 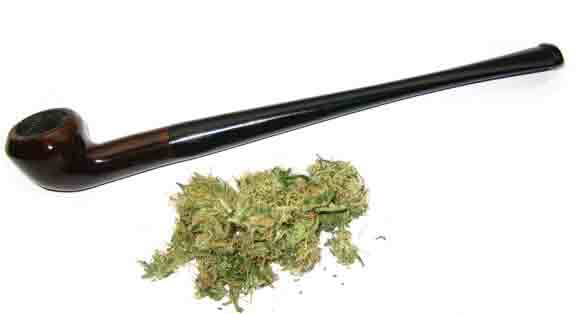 Too much resin and your pipe will be clogged, and offer dirty tasting hits. Dirty pieces compromise a flower’s terpenes and taste. The first bongs date back around 2500 years ago, possibly even earlier. Today, the bong, or waterpipe, still finds it way into stoner dens and smoke spots the world over. Many people claim bongs actually get you higher, and protect you from harmful carcinogens by filtrating the smoke through water. While there will always be some harm contributed by smoke, the water in water pipes does filtrate smoke enough to cool it down when it hits your lungs. When the smoke is cooler more can be inhaled, thus contributing to the user’s high. This is why bongs seem to get users higher than other mediums of cannabis use. Also, because bongs filter with water, user’s can taste their cannabis more clearly. Bongs are a great way to enjoy cannabis in its most natural form. The Joint may be the most recognizable, iconic way to enjoy cannabis, and references to joints litter popular culture. Its mechanism of action is pretty straightforward: the user rolls cannabis in a paper, making a cylindrical shape. The blunt is a varied form of the joint where the rolling medium isn’t paper but a cigar wrapper. Joints and blunts are equal to bowls when it comes to smoke temperature, because the filter is more of a mouthpiece than a filtration device. Blunt and Joint enthusiasts laud the medium due to its simplicity and ease of use. Once rolled, you only need to light the joint once and draw. Moreover, the joint’s cultural footprint makes it a staple in stoner culture. The only downside to the joint/blunt is that burning paper, and tobacco, have many carcinogens. Like it or not, there is no denying the joints popularity amongst new age stoners and cannabis purists alike. As more states begin to legalize recreational/medical cannabis there are many options to consume your favorite plant out there. However, don’t forget about the humble cannabis flower, because without it there are no extracts, concentrates, and delicious gourmet edibles. Getting back to basics can help you rediscover your love of cannabis. So get out there! Roll a joint, pack a bowl, smoke a bong, and enjoy cannabis in its most sincere form. Chris Matich is a professional writer living in Pittsburgh, PA. Follow Here. Twitter.